This Circular guides organizations and individuals in managing and using funds for performing activities and tasks of the Program to support intellectual asset development during 2011-2015 under the Prime Minister’s Decision No. 2204/QD-TTg of December 6,2010 (below referred to as the Program). - Contributions of the Program’s beneficiaries; - Integrated funds from other programs and projects (if any); - Funds raised from other lawful sources. 2. The process of estimation, allocation and assignment of budget expenditure estimates and the regime of financial settlement and finalization comply with the Law on the State Budget and current regulations. 3. The Ministry of Science and Technology and provincial-level People’s Committees shall effectively manage and use state budget funds invested in projects under the Program which are integrated but do not overlap other programs and projects. In this Circular, the terms below are construed as follows: 1. Intellectual assets means products created by humans in the process of creative labor, including literary, artistic or scientific works; computer software; inventions; industrial designs; marks; geographical indications; trade names; semi-conductor integrated circuit layout designs; new plant varieties, and other valuable intellectual products. 2. Exploitation of intellectual assets means the application, utilization and management of intellectual assets in reality to create benefits and advantages for their owners, persons involved in the application and utilization of such intellectual assets and for the society. 3. 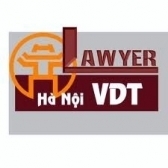 Exploitation of inventions unprotected in Vietnam means the search for, assessment, synthesis and selection of technologies and technical solutions susceptible of practical application and pertaining to inventions unprotected in Vietnam, in order to work out and implement plans on application of these technologies and technical solutions. 4. Exploitation of intellectual property information means the use of information on intellectual property objects in intellectual property databases, covering search for information, development of information packages in different technical fields to serve the research, development, establishment, protection, exploitation, management and promotion of intellectual property objects. 5. Agricultural fields are those enumerated at Point 1, Article 2 of the Regulation on elaboration, promulgation, dissemination and inspection of application of sector standards promulgated together with the Ministry of Agriculture and Rural Development’s Decision No. 74/2005/QD-BNN of November 14, 2005, including: veterinary drugs; plant protection drugs; fertilizers; plant varieties; animal breeds; biological products for cultivation and husbandry; animal feed; farm produce; agricultural electromechanical engineering; agricultural land; planning, survey, engineering and construction in agriculture.